On October 8, under its USAID/ PROLoG’s grant, Free University organized a presentation of an amicus curiae (“friend of the court”) brief. For several years now, Free University, in cooperation with the Washburn University School of Law (WUSL) (USA), has worked together on amicus curiae briefs submitted to the Constitutional Court of Georgia. 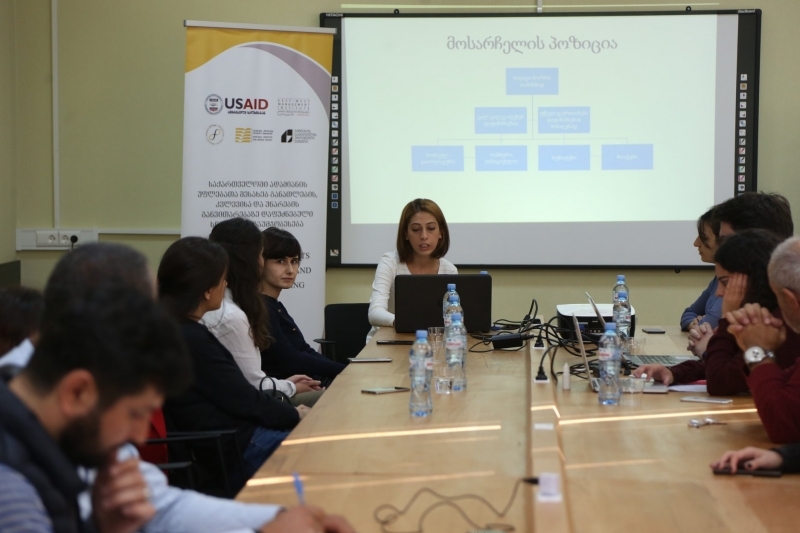 Through this effort, students at Free University constitutional law clinic and WUSL work together on complex legal issues and hone their research and writing skills on cases pending at the Constitutional Court. 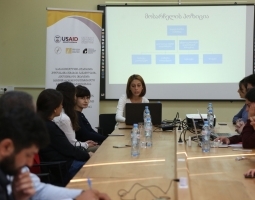 This year Free University worked on two cases for comparative research, and the presentation concerned a brief prepared on the constitutional claim of Supreme Religious Organization of Muslims of Georgia. The case concerns the rule of implementation of some measures related to partial compensation of the damages caused by the Soviet Totalitarian Regime to religious associations in Georgia. Contested article 1.3 of the Rule requires religious denominations within Islam – Shia and Sunni Muslims to unite or create a representative council to obtain the funding for damages, whereas the same rule does not apply to Catholic and Armenian Apostolic Churches. The Constitutional Claim contends the rule in relation to Article 14 (Right to Equality) of Georgian Constitution. Presentation of amicus brief was attended by claimant, human rights organizations, students and other interested individuals.